There are 7 posts tagged blogging (this is page 1 of 1). My journey in life and career is largely inspired by what other generous folks have shared – both online and offline. A boss who believed in me when I didn’t, a book that altered my perspective for better, a few blogs that clarified my thinking one post at a time, an inspiring video that uplifted me, a podcast that I often revisit, a virtual friend who opens a door of possibilities, a family member who guided my perspective about life and the list goes on. When I think of everything that I have received for free, I am only filled with gratitude. We are all surrounded by generous folks who freely share their lessons, ideas, resources and insights which inspires our own journey, directly or indirectly. The critical question then is: If your own journey is inspired by what others shared so generously, how are you making sure that your journey serves as an inspiration for others? 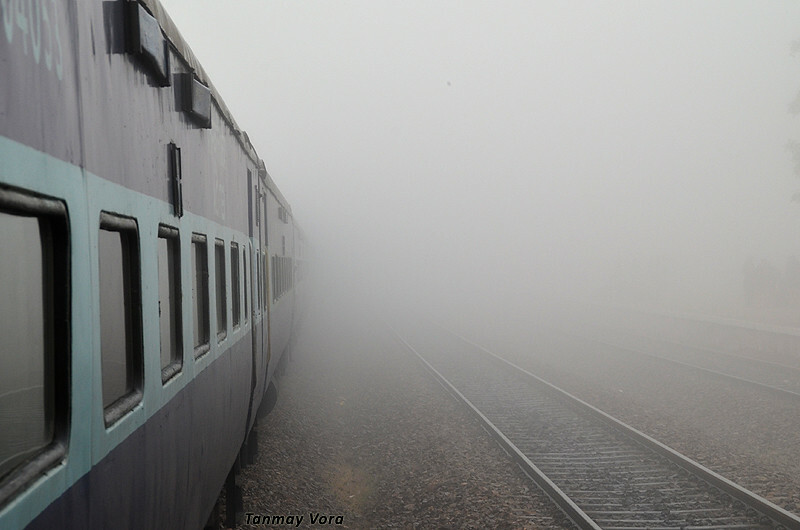 In the photo: Train and tracks fading away on a foggy winter morning! This month’s Carnival of Leadership Development is hosted by Sharlyn Lauby at HR Bartender blog. I am happy to have my post 3 Lessons in Building Great Relationships with Customers featured there along with some of the best posts on Leadership Development. If you are looking for some fantastic reading on leadership and allied subjects, you should quickly check out the latest Carnival. 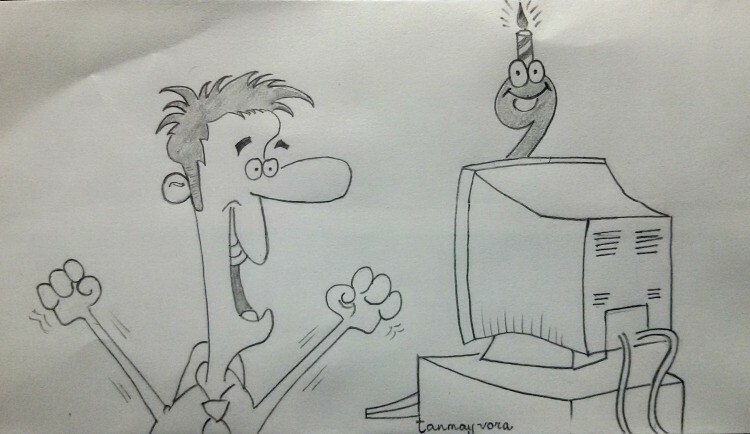 That is when I realized that I will be completing 4 years of productive blogging later this month. When you immerse yourself in doing what you love doing, all ‘metrics’ take a backseat. You just keep doing it without any expectations, simply enjoying the process. That, to me, is the cornerstone of all success and satisfaction. My blogging has taken me places without going anywhere. I have some great friends across the globe with whom I share ‘thought-based relationship’. We are connected by our thoughts. I am no where near to being famous or earning money through this blog (and that is not even a distant ambition!). I just love doing it – everything else is a by-product. I started blogging in April 2006 and wrote my first post titled “Solutions Perspective”. I have come a long way since then experimenting new stuff, overcoming my own resistance to write and sometimes overcoming the “writers block”. because I was passionate about sharing lessons I learned while doing my work. because I always wanted to get better at writing and expression. because I wanted to ‘explore’ this new fad called ‘blogging’. It sharpened and shaped my thinking. I became an ‘observer’ to my own thinking patterns and happenings around me. It helped me become a better writer and get good at expressing myself clearly. I had a heightened awareness about my areas of focus and learned a great deal about them. Lessons I wrote came from things that worked for me and also from reading/thinking. Blogging helped me increase my reading, subscribing to other great blogs and discovering new blogs. Blogging encouraged me to do more – more reading, more writing and more thinking. I understood the power of ‘contributing’ – comments, link love, guest posts and so many other ways of adding value. It opened up new opportunities for me through people I came to know via blogging. I get immense satisfaction after I write a good post that resonates well with so many people. If any of my blog post so far has helped even few individuals for better, I think all the effort so far is worth it. So this month is special in more ways than one. Stay tuned for special offerings this month – to mark the 4th anniversary of this blog. I am super-excited. I always thought about integrating my blog to my LinkedIn profile. The only way I could do that so far was to add my blog URL in LinkedIn profile – and add a LinkedIn profile button onto my blog. I always wanted something more than this. And it finally happened with LinkedIn introducing “InApps” – a collection of applications that can be used in your LinkedIn profile. I used “Wordpress” app and connected my blog to my profile in a way that now people can also see summary of recent blog posts from within my LinkedIn profile. Great that Web 2.0 is finally coming togather to enable someone have a unified and integrated profile. There are some other good apps one can use – go, check it out! Hat tip to Web Worker Daily blog for pointing me to this useful resource.